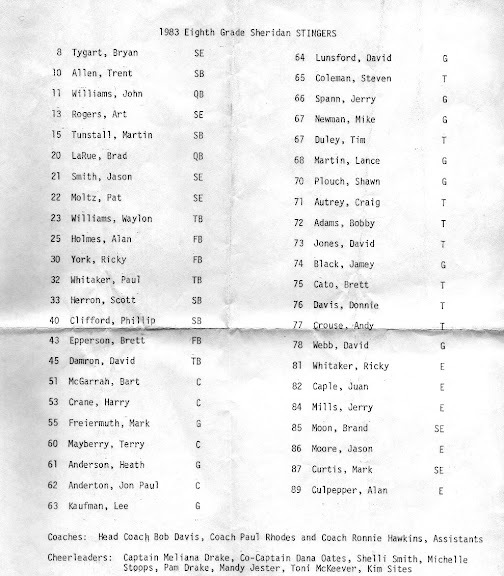 I've posted this pic on Facebook (FBers can view & comment here), but I don't think it's ever made it to the blog. The building in the foreground below is where many of us had kindergarten (Easton, Birdsong, Tolson). You're looking North at the back of the building, our playground would be to the right. Obviously, the building in the background was already gone when we started kindergarten. See caption below. 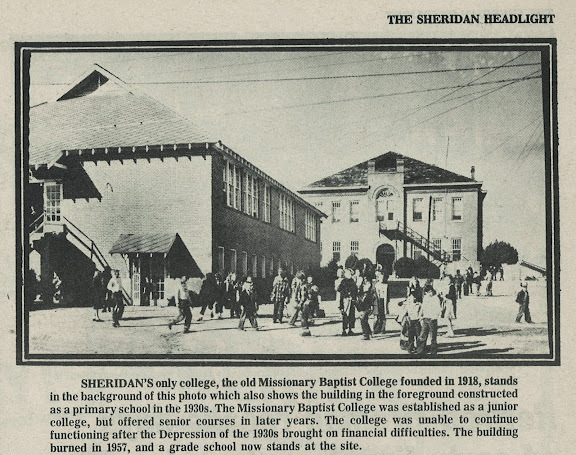 SHERIDAN'S only college, the old Missionary Baptist College founded in 1918, stands in the background of this photo which also shows the building in the foreground constructed as a primary school in the 1930's. the Missionary Baptist College was established as a junior college, but offered senior courses in later years. The college was unable to continue functioning after the Depression of the 1930's brought on financial difficulties. The building burned in 1957, and a grade school now stands at the site. See more on our grade school buildings here and here. The back of the pic indicates that this was taken in October of 1977, probably during the Grant County Fair Parade. 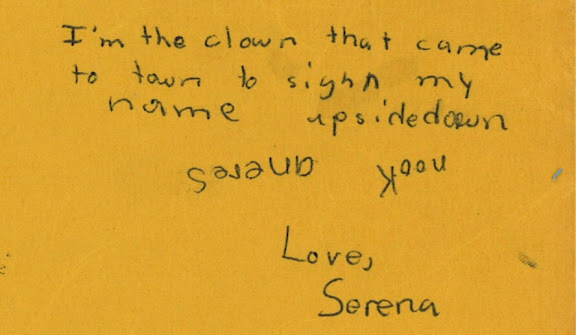 I found this in a stack of old photos given to me by my grandmother. This photo was taken on the west side of the court square facing North. You can see the green & white striped awning of ABC Bookstore in the upper left corner of the photo. These band uniforms were finally retired in the early 80's. 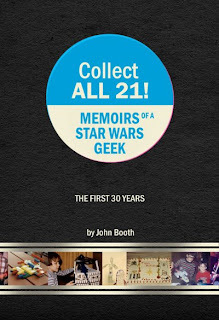 Even if you aren't/weren't a Star Wars fan, you've got to appreciate this excerpt from John Booth's book "Collect All 21! Memoirs of a Star Wars Geek,"
I promise this isn't a paid endorsement, but I would like to recommend to any of you the Grant County Museum. If you enjoy the historic and nostalgic posts here at the Sheridan 88 blog, then you'll really be in for a treat at the museum. Below are a few pics I took last summer of some of the exhibits that pay tribute to the Sheridan schools. This is a watercolor painting by Sue Scroggs of the many schoolhouses which make up the Sheridan schools. Most of these are recognizable except for the building in the upper right, which burned down in 1957. Scroggs has it labeled as a grade school (might've been used for that), but it was built around 1918 as Missionary Baptist College. Do you recognize these chairs? I would love to have a pair of these, so if you know anyone who has some, please let me know! These are chairs from the McKenzie Hall auditorium. Here's an exhibit featuring some of the old band uniforms from the 1940's & 50's. 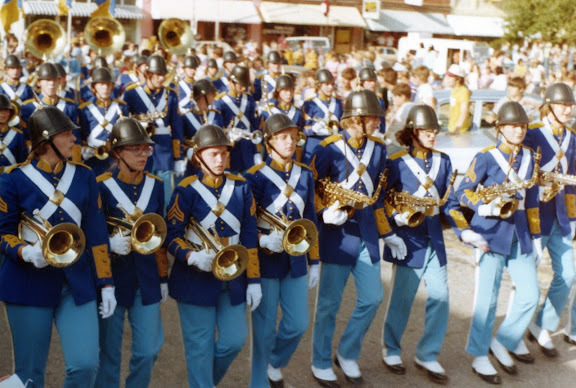 Next week I'll be posting a pic of the 1977 marching band in their German-inspired uniforms. Here's a display case showing some of the EARLY Yellowjacket football teams & letterman jackets/sweaters. Yes my friends, all this and more... at your Grant County Museum.